The WPH Outdoor 3-Wall Big Ball tour is proud to present the Hemborg Ford WPH Outdoor Cup Stop #3: The International Baja Blowout in Tecate, Mexico, July 18th-19th. Known for being the site of the first brewery of Tecate Beer, Tecate is located 40 miles south of San Diego with an elevation of 1,775 feet. WPH Outdoor stars will be treated to temperatures in the mid 80’s, as Tecate boasts one of the most ideal climates in Mexico for outdoor sports. When not on the court, players will have the opportunity to enjoy numerous Tecate amenities, including Parque Hidalgo, Guadalupe Hot Springs, Cave Tours and Local Wineries. WPH Outdoor pros will be presented with a distinct challenge on Tecate’s four-court 3-Wall facility, as the unique court dimensions will largely dictate the strategy. Players will have to adjust from Venice Beach’s traditional 3-Wall long courts at Cup Stop #2 to Tecate’s 16-foot high front wall, 14-foot side walls to the short line that cut to 12-feet at the 25-foot mark and a back line that stretches to 48-feet from the front wall. 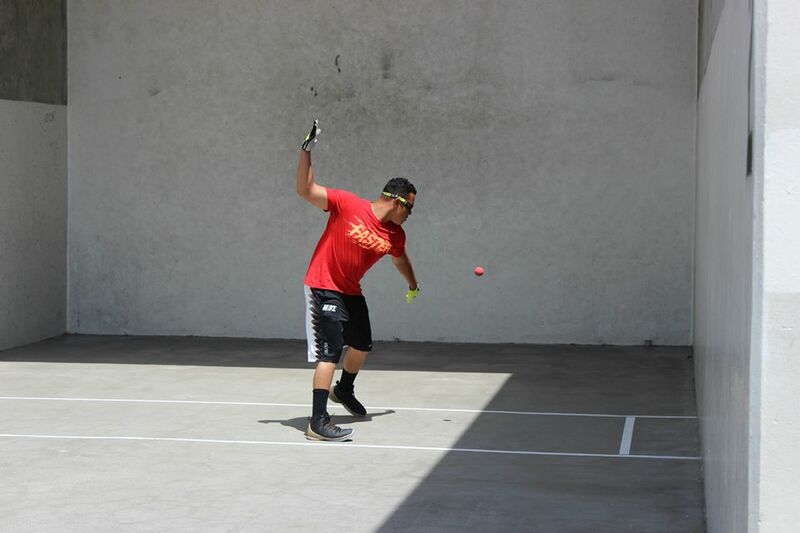 Samzon Hernandez headlines the strong Tecate Cup Stop field that also includes 2014 Tijuana singles finalist Victor Martinez, Chris “Flash” Tojin, Sal Duenas, David “Lil Flash” Hinojosa and a strong contingent of Tecate handball stars. The Baja Blowout Cup Stop #3 will not be broadcast, but follow all of the action on wphlive.tv, Like the World Players of Handball on Facebook and follow us on Twitter for daily updates from Mexico.